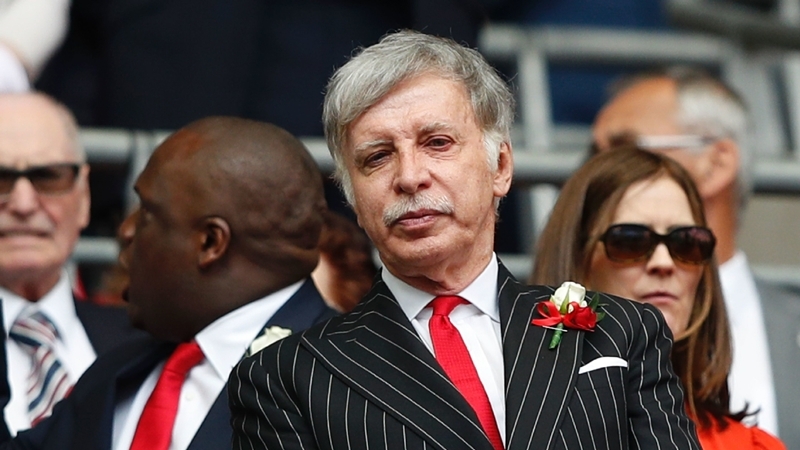 FOOTBALL: Stan Kroenke moved to the brink of a full takeover of Arsenal on Tuesday(Aug 7) after minority shareholder Alisher Usmanov accepted an offer worth £550 million (B23.749 billion) for his stake. As of Tuesday, American businessman Kroenke owned 67% of the Gunners through his company Kroenke Sports and Entertainment and offered to purchase the 30% held by Usmanov's Red and White Securities firm, valuing the Premier League club at £1.8bn (B77.423bn). Kroenke, owner of the Los Angeles Rams in the NFL, said having a single owner would benefit the club but fans said it was a “dreadful” day. Arsenal, who play City in their season opener on Sunday (Aug 12), are also adjusting to life after Arsene Wenger, who left the club in May after 22 years at the helm, replaced by former Paris Saint-Germain boss Emery. “I have decided to sell my shares in Arsenal Football Club which could be the best football club in the world,” said Usmanov. In October last year, KSE offered around £525mn (B22.580bn) to buy the 18,695 shares held by Usmanov, the Russian businessman who himself attempted to buy out Kroenke in May 2017. It is not currently mandatory for those shareholders to accept but if Kroenke purchases Usmanov’s percentage, he can then push through a compulsory acquisition. Within two hours of the announcement ‘#KroenkeOut’ was trending on Twitter in Britain.